Orbital Colony finished up this weekend, finally answering the question as to what happened to Orbicon scientist Steven Mae. The beginning of the end started when players discovered Cassandra’s blog on the Inept website. The mysterious Cassandra, who looked too much like Davina for everyone’s comfort, was on the station and that she was the one who had kidnapped Steven. With the help of the players, Seth set up a trap for Cassandra. He would put up a fake blog post saying that more information of Steven’s had been seen in the Gardens. When Cassandra showed up to collect it, he would capture her. At 7:00 EST, players were able to listen in on what was happening in the Gardens. When confronted with the fact that she was caught, Cassandra collapsed, and gave Seth a clue to Steven’s whereabouts in case something worse happened to her. At this point, the audio connection to the station is cut. Raider, the ever resourceful SAIPets robo-dog, is able to connect to IRC and the players start to help Seth decode Cassandra’s message. The name Cassandra provides was another directory on her website. Players had to solve a couple of different number slide puzzles before they got their answer. Steven was being held in the Level 13 Biolab V.
Rushing off to save Steven, station security protocols caught up to Raider, and he had to implement additional measures to stave off detection. Upon reaching the Biolab, Seth (with Raider and Stevie in tow) finds that Igor Bronco is there waiting. Igor had known what was happening all along, thanks to his elaborate security system. Igor’s plan falls apart though when his two daughters, Cassandra and Davina, walk into the Biolab instead of his security forces. When Cassandra pulls a gun on Igor, he grabs Stevie to use as a human shield. Unfortunately for Igor, Raider’s programming to protect Stevie kicks in and he attacks Igor, saving Stevie from both Igor’s clutches and the bullet from Cassandra’s gun. With Igor’s plan uncovered, and Steven found unharmed, the Puppet Masters were finally able to come out from behind the curtain (u:steven.mae p:FLYHGGH). We would like to congratulate everyone involved in the game for a job well done. Responses from the players have been positive, and we look forward to any new games that this group may put together. So if you happen to see any of those brave individuals who sacrificed their time and energy into this game, be sure to congratulate them. A post-game PM chat is in the works, although no dates and/or times have been finalized. 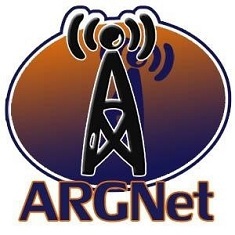 We will have all of the details on ARGN as soon as they are announced.